The recipe for these Lunch Lady Brownies has been passed down for generations and is the actual recipe used in schools over 50 years ago! 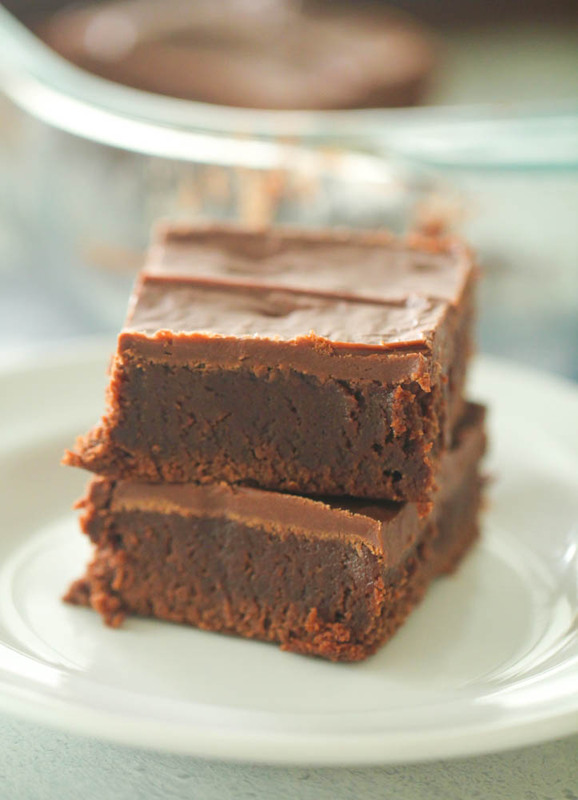 These fudgy brownies are soft and thick with the most delicious chocolate frosting. Growing up, our school cafeteria always served the most amazing food! Our lunch ladies would wake up at the crack of dawn to make everything from scratch. Ahhh, those were the days. One of my favorite desserts from school were the Lunch Lady Peanut Butter Bars. 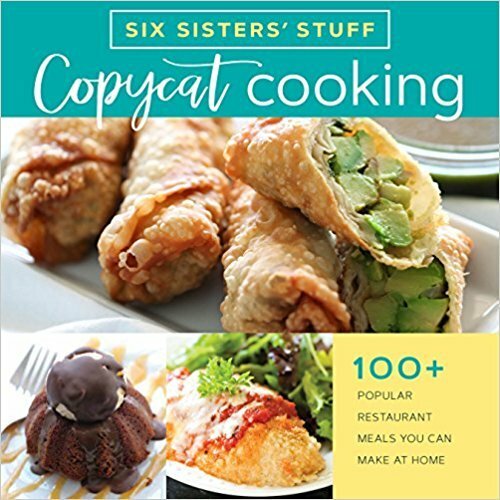 My friend gave me a recipe for them over 10 years ago and I shared them on our blog. We had so many lunch ladies reach out to us that it was the exact recipe they use! If you’ve tried the Lunch Lady Peanut Butter Bars, you know they are possibly the best dessert of all time. However, these Lunch Lady Brownies (also from the lunch ladies themselves) rival the peanut butter bars for that top spot! 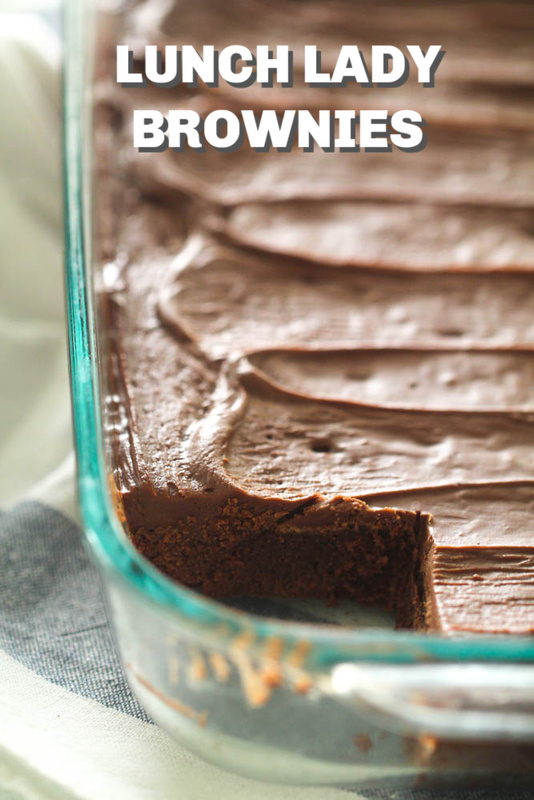 These brownies are actually quite simple to make. You could make these brownies in a stand mixer, but I just used a hand held mixer and large glass mixing bowl. To make the brownie batter, you will beat together butter, cocoa, flour, sugar and eggs. If you like a more cake-like brownie, use all 4 eggs. If you prefer a chewier brownie, use only 3 eggs. 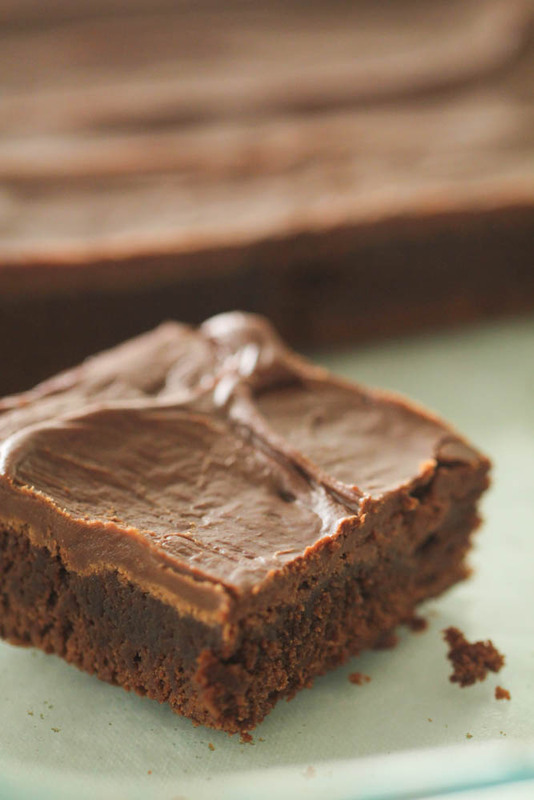 Spread the brownie batter in a 9×13-inch baking pan sprayed with nonstick cooking spray and bake for 20-25 minutes, or until an inserted toothpick comes out clean. Let the brownies cool for a few minutes while you make the frosting, but you’ll spread the frosting on the brownies while they are still warm. To make the frosting, you simply beat together butter, powdered sugar, cocoa powder, vanilla extract and a little milk. The frosting will be really thick, but spreading it on warm brownies helps make it easier to spread. Let the brownies cool all the way then cut into squares and serve. Thick, fudgy brownies with a creamy chocolate frosting. In a large bowl, use a mixture to mix butter and cocoa together until smooth. Add flour and sugar; beat together. Mix in eggs and vanilla until just combined. Pour batter into a greased 9x13" baking pan. Let the brownies cool for about 10-20 minutes and then frost while still warm. Mix all ingredients together and frost as desired. If you love these Lunch Lady Brownies, try our Mom’s Famous Marshmallow Brownies! I'm having a hard time not going straight to the kitchen to make these. Looks like I've lost that battle...off I go. There are some things that school lunches rocked at...these were one. I cannot wait to try these out!! This is exactly the kind of brownies my husband loves. Thanks for the recipe! Guess I know what I'm baking tomorrow, and only tomorrow because I work today. Just wanted to say, that I am a lunch lady! Love my job! And I adore those kids! I began working as a"Lunch Lady" when my kids went to school. I wanted to be home when they were and off when they were. That was almost 24 years ago"! Stange! But true! I live in Utah, and YES we make alot of things from stracht! We have cinnamon rolls for breakfast every other Thursday. Homemade wheat rolls almost 3 - 4 times a week! You should see the salad bars we put out there for these kids! I don't remember eating this many fruit and veggies in my life! Just wanted to pop and say HI!! From the BEST SCHOOL THERE IS!!!! Do you mind sharing the cinnamon roll and wheat roll recipe you make at school? How funny! I went to Bonneville Jr. High in Idaho! Actually, it was renamed Rocky Mountain Middle School in 1992 when I attended as part of the first 6th grade class. Both of my parents attended the school when it was Bonneville High! I do remember the brownies being pretty darn good! I taught there for a few years from 03 to 06-don't think I ever tasted the brownies, though! These look amazing! This looks so yummy and brings back some fun memories. our lunch lady also made no bake cookies like no other I've ever had. Just made these for a party tonight. We had so much stuff that my mom ended up putting her dessert on top of mine since mine had a lid. That means I have leftovers! Yum! The hard part is waiting for it to set at the end! I've been tasting as I go and it is all so yummy!! Have to sit on my hands to keep myself from cutting into them before they've cooled. It is not my first time to visit this web site, i am visiting this web page dailly and get nice information from here all the time. Is the cooking time the same if you have a fan assisted oven? So sorry, we are not familiar with fan assisted ovens. So, are you saying that eliminating one egg will make it more chewy? I don't like cake-like brownies either. I like them moist in the center. I also would take them out of the oven when there is still a little bit of crumb clinging onto the toothpick; that way they wouldn't be so dry. Brownies are usually much better when slightly under-baked. These are my favorite brownies. I used to be a box mix only person, until this recipe came along. Now this is pretty much the only recipe I use! The only thing I dislike is that my husband doesn't like sweets (WHAT?!?!) and I end up eating way too much! Thanks! I made these for a friends gathering and they were super dry and dense. Did I miss something? Did I over-mix? I stuck a tooth pick in the center at 22 minutes and they were still wet so I left them in there the remaining time. I've never made from scratch brownies so I'm not sure if I overcooked them by putting them back in for the remaining time. Ideas? They aren't as dark and moist looking as your photo. Hi Ericka, sounds like they may have cooked too long. All oven temps vary so much. These are a heavier brownie than a boxed brownie. Hope this helps. What kind of cocoa powder so you use?? There's so many different kinds so I wanted to see what you use! Yes, unsweetened Hershey's cocoa powder.